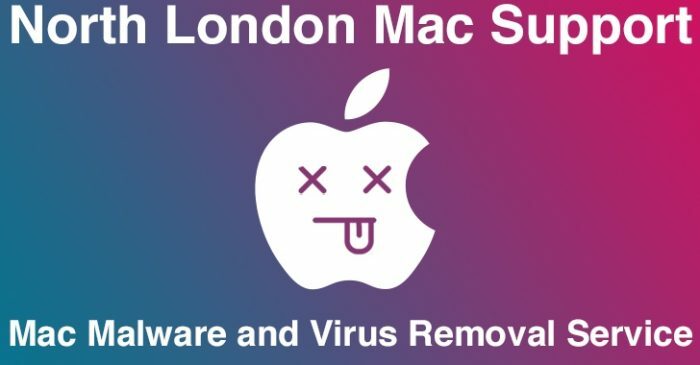 Our team of friendly and knowledgeable Mac technicians can eradicate all forms of Virus and Malware from your Mac. You are welcome to contact us to discuss your specific requirements and we will be only too willing to provide the best solution and advise on protection methods going forward. 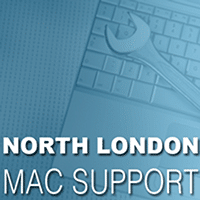 We at North London Mac Support are genuine independent Apple experts who are ready to assist you so call 08445 882 322 now. Most spyware is likely to be in the form of adware, either downloaded as part of a free app or a browser plug-in. Trojan.Yontoo.1 is an example of the latter, capable of infecting all the common Mac browsers, including Safari, Chrome and Firefox. Once installed, it can log keystrokes, sending the information to a third party, and deliver up targeted ads. Scareware is what it sounds like: a scary pop-up that claims your operating system is infected. Malicious websites use scareware to entice users to click on the pop-up, which then triggers an attempted trojan download. This malware includes MacDefender, MacSecurity, MacProtector and MacGuard, all which operate in similar fashion: The user clicks on a malicious link, then a pop-up appears to say you have a virus. For a fee, it offers a download for a bogus antivirus. Macro viruses and Windows malware may not hurt your Mac, but if you transmit an infected file to a Windows user, you could unwittingly cause a huge problem. Windows malware is capable of hiding on a Mac in the form of macro viruses in Word files, in dual-boot systems or even in a virtualized Windows environment. Because many people don’t use antivirus software on Macs, it’s difficult to get a handle on the size of the risk. How would someone know if their Mac was infected? What kind of people create Malware?